What can a water filtration system effect in a foodservice environment? 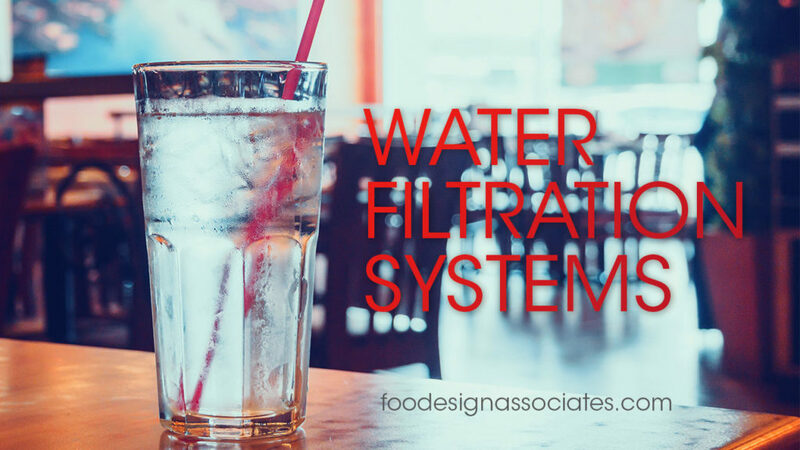 A water filtration system will not only enhance the overall dining experience, but they keep your equipment working longer by helping to prevent lime scale buildup and other harmful mineral deposits. Pieces of equipment that have mineral buildup will break down over time faster and will not operate efficiently, which in return is money wasted. Preventing this from happening to you is easier than you might think. Spending a few hundred dollars on a water filter now could possibly be saving you thousands of dollars later down the road in replacing equipment that has broken down. There’s dirty ice out there too. Never purchase an ice maker without a water filter. You wouldn’t order a cold drink without ice on a hot day, would you? Having a water filter on your ice maker will help keep your machine running longer and give you a higher ice production. It also helps lower your energy usage since the machine isn’t working in overdrive because of built up impurities in the machine. At the end of the day you will be serving your customers with better tasting beverages without any harmful contaminants floating around in their cup. Taste can change for the worse without a filter. Coffee and tea brewers need to have a water filter in place as well to prevent the machine from breaking down and giving your customers a bitter flavor caused by contaminants. Many compact designed water filters fit standard brewing machines. It is important to still delime or descale your brewer and spray heads regularly to prevent mineral buildup and oil deposits in your coffee and tea urns. Who knows, by taking the necessary precautions your customers might start raving about your facility having the best cup of coffee in town! A simple update for long lasting benefits. When it comes to the back of the house equipment, having the right water filter for your cooking equipment can help you maintain your equipment more efficiently and reduce the scale build-up that can cause increased service calls and operational expenses. Having a water filtration system in equipment that cooks with steam like convection steamers can stop problems before they even start. Although having a water filtration system in place is a smart idea, it is important to remember to change out the filter cartridges often to keep water as pure as possible. Following these steps will insure that your equipment is operating at its best and will last a long time.